Complete Real Estate Solutions, LLC (“CRES”) will list your property for the discounted rate of 5% (6% for Short Sale listings). The typical Realtor® will charge you 7%. If your home is marketed at $150,000, our program will save you $3,000 at closing. We understand that the current market conditions require some different pricing strategies. With a reduced cost to market and sell your home, this allows you to be more flexible with your sales price or just give you more cash at closing. In addition, we have a special service that we offer to our clients that are going to sell their current home and also purchase another property locally. With these conditions, we will sell your current home for an even greater discount of 4%. 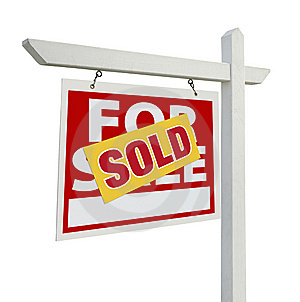 When the client’s property sells, CRES will hold 1% of the Realtor® fees due to our firm at closing in escrow. Once the client purchases/closes on their new home, CRES will issue our client a 1% rebate check on the same day. Client must sign an “Exclusive Buyer’s Agreement” with our firm. Client must purchase /close on a new home within 90 days of the closing of their property that was listed for sale by our firm. If the client decides to use another firm to purchase/close on the new property or does not close on a new home within 90 days, the rebate check will not be issued and the funds (1% held in escrow) will become property of CRES. Give us a call today to discuss our services and get more details. We have experienced Realtors® on hand to help you. We promise to provide you with honest and professional services throughout the process of selling your home and or buying your new home.